Viezu | BMW 550d F series Tuning triple turbo!!! 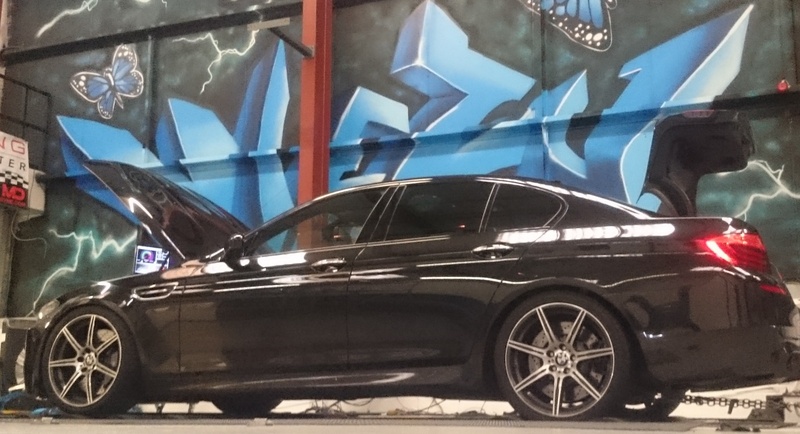 BMW 550d F series Tuning triple turbo!!! Yes! You did read that correctly. The brand new BMW 550d F10/11 is a triple turbo diesel torque producing beast to be reckoned with. With the badge of 550d you would expect a 5.0l engine under the hood. However, as with a number of manufacturers nowadays, the badge on the outside does not line up with the engine under the hood. The 3.0d straight six engine that has been a year after year one of the best diesel engines available on the market. However, the engine does have a little trick up its sleeve to give it the edge over other models in the range that the 550 badge implies. This is done through the brilliantly designed triple turbo setup. Effectively taking the already brilliant twin turbo engine from the 535d and bolting another turbo onto it. Obviously, that does make it sound a lot easier than it would have been to develop. The system works with a small turbo working almost instantly in order to reduce any initial lag as much as possible at very low rpm. This turbo is very quickly pushed aside by the large turbo in this setup that takes over between 1500rpm ? 1800rpm and then pulls through to the top end of the power band. Traditionally this would have been enough for a diesel engine, but BMW wanted more, and this was achieved by putting the third turbo into the mix. This final turbo is designed to pre compress the air before the big turbo to help keep the big turbo running longer than the standard twin turbo setup. For the added boost pressure the vehicle is running the fuel pressure had to be increased to make sure the fuel could get into the engine with all the extra boost pressure running through it. The fuel rail pressure was increased from 1800bar up to a staggering 2200bar of pressure. Of course all of this meant that a little strengthening had to take place within the engine itself in order to safely accommodate the new power, boost output and rail pressure requirements. All of this strengthening has left the engine with plenty more to give over its stock output. Taking the KTAG bench reading from the EDC17 ECU?s inside, we here at Viezu Technologies were able to extract the an additional 130nm of torque and 45hp increase from the engine with our Viezu Remap.